Curious just how far your dollar goes in Washington Square West? According to Walk Score, this Philadelphia neighborhood is a "walker's paradise," is a "biker's paradise" and is a haven for transit riders. Data from rental site Zumper shows that the median rent for a one bedroom in Washington Square West is currently hovering around $1,495. Listed at $1,495 / month, this studio apartment is located at 1126 Walnut St. In the unit, you'll find hardwood floors, a breakfast bar, a ceiling fan, floor-to-ceiling windows and wooden cabinetry. Pet owners, take heed: cats and dogs are allowed. Next, there's this one-bedroom, one-bathroom apartment situated at 511 S 9th St., that's also listed for $1,495 / month. In the unit, there are hardwood floors, a dishwasher, granite countertops, stainless steel appliances, a breakfast bar and closet space. When it comes to building amenities, expect on-site laundry, outdoor space, storage and secured entry. Hairball alert: cats are allowed. 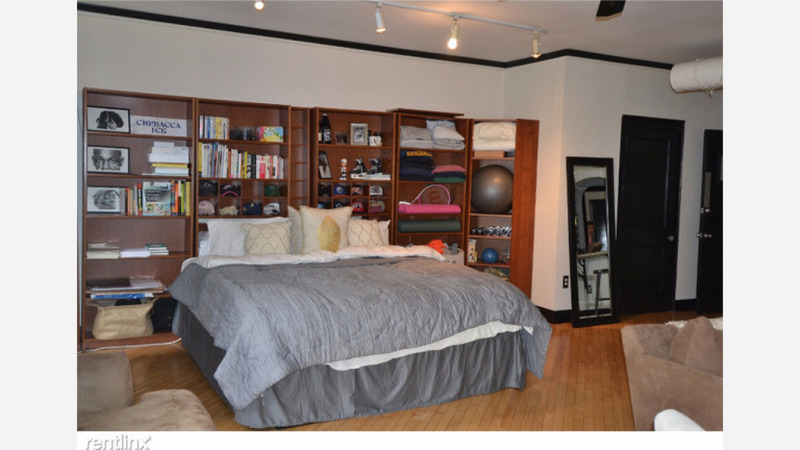 Here's a one-bedroom, one-bathroom apartment at 931 Spruce St. that's going for $1,495 / month. Tenants will find hardwood floors, wooden cabinetry, recessed lighting, central air conditioning and closet space. The building offers on-site laundry and storage space. Feline companions are welcome. Located at 501 S 13th St., here's a one-bedroom, one-bathroom apartment that's listed for $1,450/ month. In the unit, you can expect hardwood floors, a dishwasher, both air conditioning and central heating, granite countertops and stainless steel appliances. The building has on-site laundry, storage space and secured entry. Cats are permitted in the apartment.